The Liberty XL is a full fuselage, 6mm thick EPP, 3D biplane. Its large ailerons give it a very fast roll rate. The large elevator and rudder allow for precise control during acrobatic maneuvers. 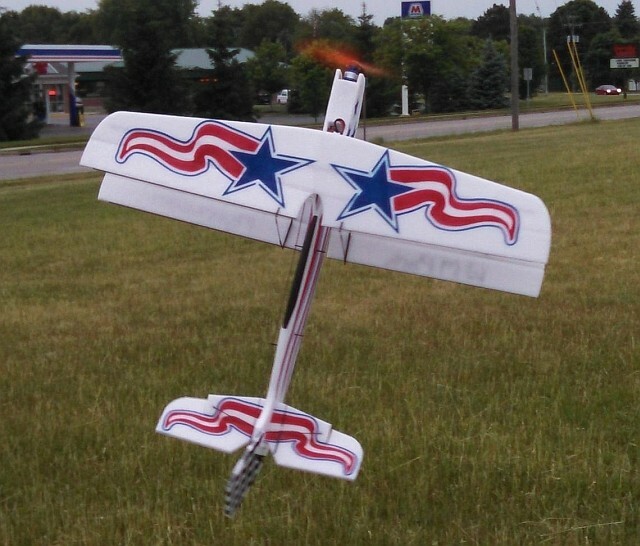 36" wing span, 36" length, 10x6 prop, 14 oz AUW. -	Center of gravity is 2-1/2” from front edge of upper wing, at the root or center. -	Speed Control: 20 Amp. -	9 gram servos, 2 for ailerons and 1 for elevator. -	5 gram servos, 1 for rudder.